No one has yet been arrested in connection with the killing of Bafana Bafana captain Senzo Meyiwa, Gauteng police said on Wednesday. Two people had been questioned, but neither had been linked to the crime, Brigadier Neville Malila said. "One person presented himself after we issued [identikits] of the suspects. On Facebook, he said, people said he looked like one of the pictures. "The investigators interviewed him and he could not be linked." A second person was brought in for questioning by metro police and was also interviewed. 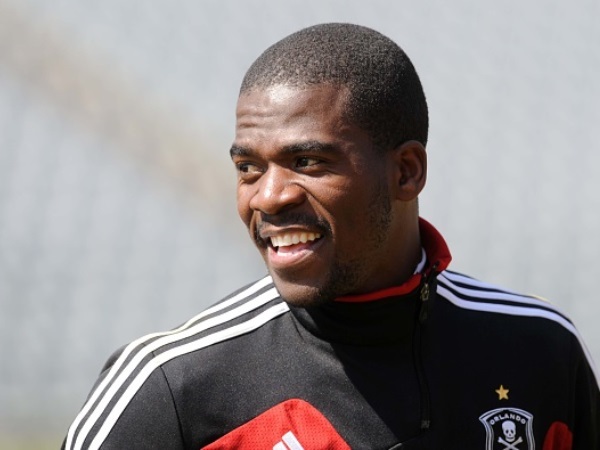 "Neither can be linked [to Meyiwa's killing]." Meyiwa, captain and goalkeeper of the national team and Orlando Pirates, was shot in his upper body in Vosloorus, Ekurhuleni, while visiting his girlfriend, singer and actress Kelly Khumalo, on Sunday night. The attackers demanded cellphones and money. On Tuesday, police released identity kits of two dreadlocked men with gold teeth believed to be involved in the shooting. A reward of up R250,000 has been offered for information leading to the arrest and conviction of the killers. "It needs to be stressed that interviewing possible witnesses and possible suspects is an integral part of the normal investigative processes," Malila said. "Investigations continue and investigators are following up all leads received through our twitter, facebook, Crime Stop and Crime Line numbers."